Nowadays cities are very complex and interdependent systems, they are extremely vulnerable to threats from natural risks. The very features that make cities feasible and desirable (their architectural structures, population concentrations, places of assembly, and interconnected infrastructure systems) also put them at high risk to floods, earthquakes, hurricanes, landslides, and even terrorism. Worldwide we feel the need to reach an advanced planning that leads us to specific actions into the philosophy of reducing those risks through the only available way: a development of resilient cities based on the adequate knowledge of the ground and its interaction with buildings, both of them molding a vulnerable system where we live in, which is very weak when a natural hazard occurs. Are we really sure of our correct knowledge of this system? We are more than 7,000 million people. By the year 2020 more than 5,500 million people will live in cities, with a new world of relationships, this means more than our entire 1990 combined rural and urban population moving essentially through cities. The growth of these urban agglomerations is a new experiment for life on Earth. Tragically, a significant fraction of these agglomerations are located in Europe and especially in Spain close to regions of known seismic hazard. Recent earthquakes (Mw>5) have spared the Spanish and European major urban centres, but this will not persist indefinitely, examples of their potential severity being the Albolote, Santa Fe and Atarfe earthquakes in Granada Mw 5,1 of 1956, also Assisi 1997 and the Mw 5.8 L'Aquila earthquake of 2009 in Italy, and the most recent Lorca Mw 5.2 earthquake of 2011. 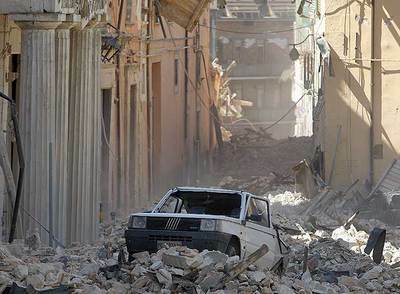 In coming years several more cities will be damaged by significant earthquakes. We are most certain of the fate of those cities near plate boundaries, however, mid-continent earthquakes also occur, although less frequently. In 2007 a seismic movement Mw 5.1 struck Pedro Muñoz (Ciudad Real) far from any big city; only the rooftop of the Almagro Theatre collapsed. This mid-continent earthquake of only 5.1 was so close to the land surface that it was felt in the whole of Iberia, including Spain and Portugal. Madrid (200 km) and also Asturias (600 km) were witnesses to it. If such an event had occurred close to a city, consequences would have been comparable to those of Atarfe, Albolote, l'Aquila or Lorca, but consulting the Spanish seismic information map (below), the village of Pedro Muñoz is indicated in the NCSE 02 as a non-seismic location, situated just in the middle of Iberia, with a basic expected acceleration less than 0,04g. This event showed the current state of our knowledge concerning faults, their location, activity, and the potential damage they are capable of generating. One of the most intractable problems in saving future lives from earthquakes in the developing and some developed nations is the prevalence of corruption in the building industry. In last recent years Spain developed the highest degree of corruption ever seen in Europe; lots of places became vulnerable to seismic hazards due to the incorrect knowledge of the ground, and these wild episodes of building activity also resulted in cities growing into highly vulnerable geological sites. Urban ordinances are tools by which many municipalities are organized physically. Their main objective is to regulate the use of land in a beneficial way to their inhabitants, and also to be an efficient guarantor of all the inner activities and their interrelationships. Urban regulations in those cities located in seismic zones like the many there are in Southeast Spain, usually do not include special seismic provisions and are very similar to those located in non-seismic prone areas. The seismic-resistant design and construction structural code in force is NCSE 02. This is a result of the revision of the former NCSE 94 that substituted the PDS-1/1974. This, in turn, had only been preceded by the first Spanish seismic-resistant standard, dating from 1968, PGS1. That code did not include a seismic risk map, but referred to the one in MV 101, the building loads code in force at that moment. NCSE 02 is based on previous knowledge and includes the analysis of the most relevant earthquakes registered in Spanish history. It also applies new criteria and the lessons learnt from the latest destructive earthquakes of Mexico (1985), Armenia (1988), Loma Prieta (1989), Kobe (1995), Izmit (1999) or Taiwan (1999) considering also, the rest of the European (Eurocode 8) and international standards, that have also been revised and renewed recently. 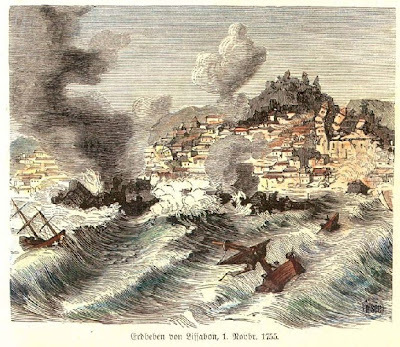 We must underline the importance of the 1755 Lisbon earthquake on the design of these standards, rather than the smaller seismic measured events coming from faults less deep but very close to the cities, some of these faults are less than 4 km long, but capable of killing people, as well as injuring and devastating cities. The last quakes like those in Granada, Albolote, Atarfe, La Paca, and Lorca, show that damages were always concentrated in the towns that are close to one of the most active faults related to seismic zones of the Iberian península. 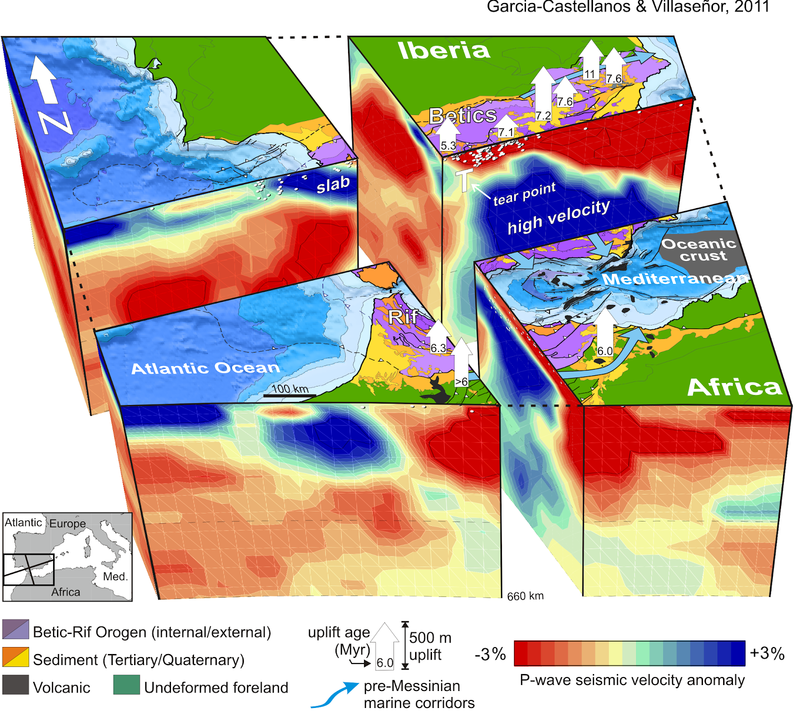 Although we can't exclude the possibility that these direction faults could cause earthquakes of greater magnitude than 5 or 6, we have shown that the formation of small tectonic structures helps to partially relax the energy associated with the convergence of plates, and reduces seismic activity in larger faults like Azores-Gibraltar Fault, but we are not ready if we let our hope lie only on seismic codes; they are not enough because they are designed only for the individual pieces of the system: the buildings. Nine million years ago, the eastern part of the Baetic mountain range was deformed by numerous folds and faults, caused by the collision of the Eurasian and African plates. Lots of them are active and hidden. Urban regulations determine the building’s volume enclosure without any anti-seismic resistant design planning. They consider earthquakes acting on single pieces of the system (buildings) rather than on the real seismic scenery: the city. Damage in one isolated building due to earthquake effects may not just affect the people who are inside but people passing by, the neighboring buildings, and the surrounding environment too. As we saw in La Paca in 2005 and in Lorca in 2011, the absence of these regulations means chaos in the city. Murcia, Andalucia and the Levante are areas of seismic risk. So they should have been prepared. As we saw last May, an earthquake collapsed the fronts of buildings and ripped open walls. Streets were littered with crumbled buildings, chunks of masonry, fallen terraces and crumpled cars. FRONTS OF BUILDINGS, MASONRY, COLLAPSES OF NON STRUCTURAL ELEMENTS, ARE ALWAYS THE SAME KILLERS. WORLDWIDE, EVERYTIME AN EARTHQUAKE STRIKES A CITY, REPORTS ABOUT THE DAMAGE SHOWS THAT THESE CONFIGURATIONS ARE VERY DANGEROUS WITHOUT AN ADEQUATE ANCHORAGE, SOME OTHER SHAPES, IRREGULARITIES, AND DISTANCES AMONG BUILDINGS THAT ARE NOT RECOMMENDED IN SEISMIC PLACES ARE ALWAYS PRESENT, BUT NOBODY PAYS ATTENTION. NON STRUCTURAL QUESTIONS ARE VITAL FOR CITIZENS, URBAN PLANNING WITH SEISMIC CRITERIA AND ALSO AN ADECUATE KNOWLEDGE OF THE GROUND UNDER OUR CITIES, AND OF COURSE, PEOPLE'S BEHAVIOUR, BEFORE, MEANWHILE AND AFTER A SEISMIC EVENT. A MINIMUM SEISMIC CULTURE CORRECTLY TRAINED WILL BE ENOUGH FOR AN IMPLEMENTATION OF AUTOPROTECTION PHILOSOPHY, AND WILL RESULT IN A BENEFIT FOR BOTH THE INDIVIDUAL AND THE COMMUNITY, AND, MOST OF ALL, WILL SAVE MANY OF LIVES ACROSS EUROPE: A NECESSARY LESSON TO BE LEARNT FROM CHILDHOOD. 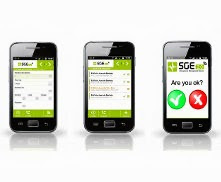 It is necessary to inform and instruct architects and city planners on the consequences of their urban planning and architectural decisions, since they (city planners and official entities) should share with structural engineers the great responsibility of mitigating seismic risk and of reaching seismic resilience in Spanish cities. It is essential to convince city officials, urban planners and decision takers of the urgent necessity of revising urban ordinances on seismic places all across our geography. The NCSE 02 map establishes a zonification for the basic acceleration values, the basis to obtain the design seismic acceleration, fundamental data required to design any seismic-resistant structure. The basic acceleration corresponding to Lorca is 0.12g, with Granada and Alicante being the zones with the highest values: over 0.16g. A deep geological (fault situation, peleoseismicity...) and architectural (technical inspection of buildings) study is needed, however, a study in itself, has never saved a life or prevented property damage; studies are only effective when their results and recommendations stimulate actions that mitigate the effects and consequences of future disasters. Central and regional governments, and municipalities must now take action. Will Spain always be in the situation that Lorca is in now? Aware of looming catastrophe but taking no action to prevent it? Or does Spain have the political will and courage to invest in its future by retrofitting the many known seismically vulnerable historical cities with regards to buildings and land? Such investment will cost building owners in the short term, but will reap many benefits in the long term, both for the owners and the community at large when strengthened buildings continue to function as safe homes and sources of continued revenue in the aftermath of a major seismic event. Inaction is inexcusable in light of the peripherical known vulnerability and the fact that most of these risks are avoidable with an adequate urban planning based on a correct knowledge of the physical environment. NCSE 02 IS ONLY A STRUCTURAL CODE DESIGNED FOR EACH INDIVIDUAL PIECE OF THE SYSTEM: THE BUILDING. BUT THE REAL SCENERY OF THE SEISMIC EVENT IS ALWAYS THE CITY. THE 3D GROUND EFFECT IS NOT CONSIDERED ENOUGH IN NCSE 02, BUT IT IS STILL LESS CONSIDERED IN URBAN ORDINANCES THAT CONTEMPLATE GROUND AS A SURFACE RATHER THAN A VOLUME WITH DISCONTINUITIES, IRREGULARITIES, AND FAILURES. The top basic acceleration value in Spain is in the town of Santa Fe in Granada: 0.24g. In spite of this, the latest harmful seismic movements in Spain have been located in the region of Murcia, that suffered five important seisms in the last twelve years: Mula (February, 1999), Bullas (August, 2002) y La Paca (January 29th 2005, magnitude 4.4 Mw, 40 km away from Lorca). And, unfortunately, as with the last two in Lorca (May, 2011), all of them were related to the FAM. The seismic design acceleration obtained by multiplying the basic acceleration by the rest of the parameters included in the NCSE 02 (four coefficients: contribution k = 1.00, ground C =1.61, risk r =1.00 and ground amplification, S =1.27) is 0.15g in Lorca, clearly less than the maximum instrumental basic acceleration registered, 0.41 g.
This kind of movement is usual in these circumscriptions, but the fact that the hypocentre was so superficial and the epicentre so close to Lorca was crucial for the disaster. The crust structure in Murcia, like in the rest of the southeast of Spain and in the area of Pyrenees, is similar to an assembly of domino pieces horizontally laid: when one of them moves, all the others are affected. The study of old earthquakes through the marks left on the sediments is the paleoseismicity. In Spain there are only a few studies of paleoseismicity and most parts of them are concentrated in the Southeast. The rest of the territory lacks of it. Nowadays, decision making in Master Urban City Plans is based on studies and maps: flooding risks and topographic maps and noise and urban mobility studies. Paradoxically, in urban planning, ground is considered as a land surface ignoring the volume under the sub-surface, whose mechanical nature in seismic areas is capable of doubling or even tripling the power of seismic waves, like in the historical town of Lorca, especially the La Viña district with its quaternary materials cuvette, the same under Albolote, Atarfe or Santa Fe in Granada. 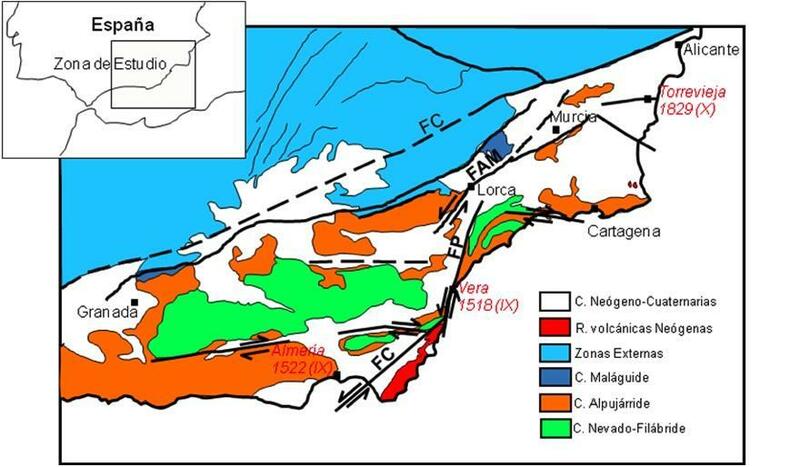 An example: Lorca is on the axis of the FAM (Alhama de Murcia Fault). Both seismic movements that occurred on May 11th were very superficial (2 km depth): the first (4.5 Mw) two hours before the second (5.2 Mw) was only 3 km NE from town centre. This also explains the high number of minor events registered months after the two main events (more than 300), identified across the segments in which the FAM is divided into. This is a transcendental question because similar configurations may exist not only in the region of Murcia but also in many other regions in Southwest Europe, such as Navarra, the Basque Country, Aragón and Cataluña, in Spain and their counterparts on the North side of Pyrenees: in French Departments, Pyrenées Atlantiques and Orientaux. It is also important to underline the fact that Murcia is a very rich geotechnical site, concerning the soil textures and specimens. Underneath Lorca the Guadalentín River and all its sediments form a cuvette capable of amplifying the seismic waves, as seen. Granada, Albolote, Santa Fe, and Atarfe are in a similar situation with the Genil River. Due to the fact that part of these materials can be qualified as collapsible, the consequences of another magnitude 5 or 6 event are difficult to foresee. The year before the earthquakes struck Lorca, the FAM was in an inter-seismic period with no activity at all. Thus, it was quite predictable, with obvious limitations, that something was going to happen; some tectonic experts even announced it, as is the case of Professor Tomás Rodriguez (University of Cartagena). The real unexpected issue was not the earthquake itself but the top basic acceleration that was generated: 0.41g. This was more than 3 times the expected value (0.12g). There is no doubt that among other questions an amplification phenomenon happened. Are the C, k, S coefficients or the other of our capricious inventions, responsible of it? Or certainly we don't have the correct 3D mental-picture of the real nature of the ground under our feet? Is the ground under Lorca smart enough to be "aware" that its coefficients are: k=1, C=1.61, and S=1.27, or does it simply not care?